As we have already seen in the past, Maruti Suzuki has always reacted well to its competitors without any second thought and without taking much of the time. Maruti Suzuki launched facelifted version of Alto K10 the same day when Hyundai launched Alto competitor "Eon" in Indian market. We also saw Maruti Suzuki launching Dzire Regal, the very next day when Honda launched Amaze diesel sedan in India. Now this is the time for competitor to Hyundai's Brilliant concept, a car that is scheduled to launch during October 2013 and will be placed between i10 and i20. As per the confirmed sources at Hyundai, the carmaker would place this car simulataneously along with i10 and would see how market reacts to new concept and then would decided upon further strategy for exisiting i10. As per sources at Maruti Suzuki, this time it is time for WagonR Stingray concept - a more sportier & modern looking variant of exisiting WagonR which would be launched in addition to existing WagonR which has been doing good with volumes of 12,000 units per month. 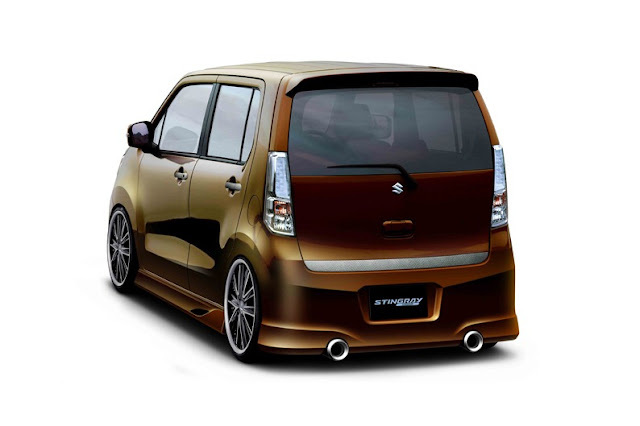 WagonR Stingray would be complemented by aggressive frontal styling and masculine cues in the rear. While the overall shape is expected to be on the lines of a standard WagonR, Stingray would have thinner and deeper headlamps with sleeker and sportier chrome strip on the grille that runs between these horizontal front lights. The interiors would be also be reworked with different colour contrasts and an integrated gear stick on the dashboard rather than the floor. 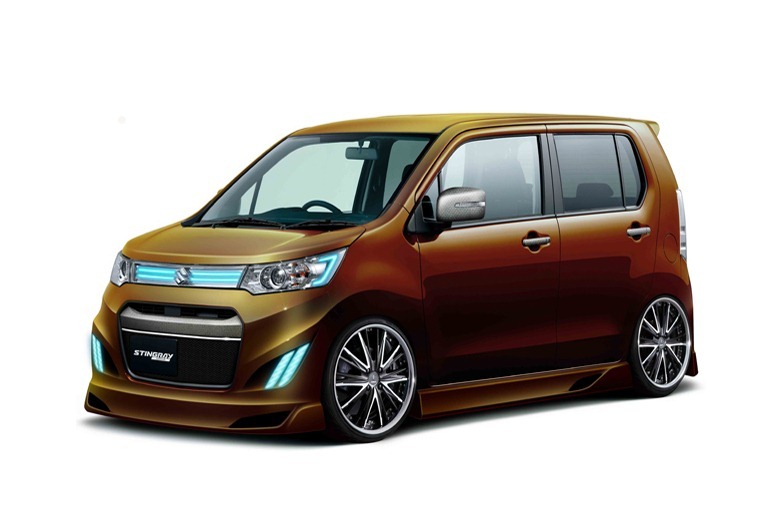 As per source from Maruti Suzuki, "It's a new upscale variant of the WagonR that would be sold along with the existing car. While the trial production is on its way, the launch should happen in the next few months. It would help the company to space out a new premium position for this car, along with its other offering to break away from the immensely crowded Indian small car market," the person said, who did not want to be named. "We do no comment on any future product or launches," the company spokesperson said.